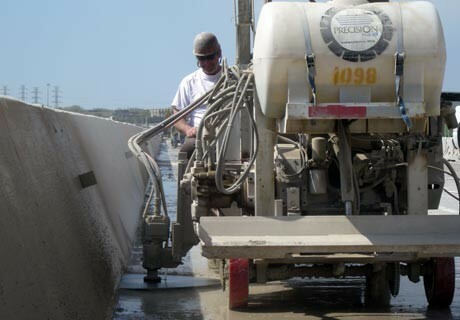 Precision ProCut offers our clients a wide spectrum of concrete sawing and drilling services. Options include wall sawing, slab sawing, core drilling, wire sawing , and curb sawing. Complimentary to those services are hand sawing, chain sawing and ring sawing. All of these techniques are available with power options of diesel, electric, or hydraulic, providing these services at virtually any location. Significant cost advantages can be achieved compared to conventional concrete removal methods where noise and vibration reduction, decreased dust and debris, maintenance of structural integrity, and reduced jobsite downtime are factored into the total project cost. Our exclusive staff of highly trained and experienced technicians, combined with our state of the art equipment enables us the ability to handle the most difficult tasks, and demanding schedules.